Epworth and how the Isle of Axholme was drained and how, as the birthplace of John Wesley, Epworth became the home of the Methodist church. Epworth and North Lincolnshire is an area of rural tranquility and remarkable natural beauty. The rolling chalk of the Lincolnshire wolds meets the lush Ancholme Valley and the unique Isle of Axholme. The past and present are never far apart and there are many attractions and places of interest within easy reach. All linked by quiet country lanes, bridleways, footpaths and cycle routes. The vibrant town of Scunthorpe grew from five sleepy rural villages into one of the worlds major steel producing centres; and the Heritage Trail and steam train rides tell the story of the great Victorian ironmasters. With its award winning Victorian Walled Garden, Normanby Hall is set in 300 acres of landscaped gardens with lakes and natural woodland; containing a superb cross country course. The hall contains fine costume galleries and period rooms. There is also a Farming museum portraying rural life in North Lincolnshire. From the eerie and silent Thornton Abbey standing proud on the Wolds, to windmills, the ancient Alkborough turf maze and historic churches, North Lincolnshire is full of surprises. Nestling in the shadow of the magnificent Humber Bridge is Barton upon Humber, with the impressive 10th century St Peter’s Church. It’s the start of the Viking Way and offers a wide range of outdoor pursuits, from fishing and birdwatching to windsurfing and sailing. 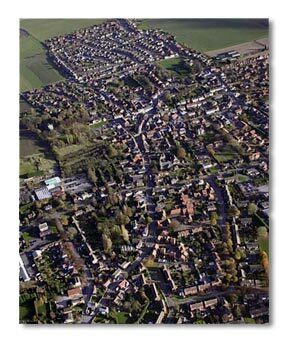 And then there’s the market town of Epworth. Birthplace of world Methodism and where the Wesley family home, (the Old Rectory) is now a popular museum. 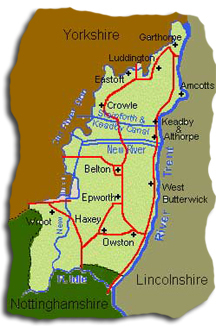 Epworth is located in the Isle of Axholme. The isle is so called, as until it was drained by the Dutch engineer Vermuyden (1627-1629), it was an inland island surrounded by rivers. A grant of the Commons to the freeholders and other tenants made by deed of 1360 by John de Mowbray, Lord of the Manor, gave many privileges and freedoms which were long cherished and protected. The Deed was to cause repercussions in the reign of Charles I when Sir Cornelius Vermuyden a Dutch engineer was given the task of draining the Isle. Vermuyden’s work was an outstanding piece of irrigation engineering. There has been extensive drainage since that time which together with warping has made this an exceptionally fertile area and Epworth shares in this productivity. An example of the Dutch influence on local architecture can be seen in the building now used as the Post Office, situated in Epworth High Street. During the mid-nineteenth century four of the original eight parishes were split. After the conquest, Geoffrey de Wirce was given the Manor. In the reign of Henry I, the Manor was given to Nigel d’Albini, bow-bearer to William Rufus. Nigel’s son Roger, took the name of Mowbray, which was to be the name of the Lords of the Manor during the mediaeval period. Epworth, in the southern part of the Isle of Axholme, has always been claimed by its inhabitants to be the capital of the Isle. Much it’s character, with its strip farming in open fields, is a legacy of it’s history. The accepted derivation of the name, is that it is formed from two Anglo-Saxon words, "Heape" meaning "small hill", or "rising ground" and "urde" meaning, "farm". Therefore, the farm on the hill, which is quite appropriate, as the town lies on one of the few hills in the area, much of the Isle being only a few meters above sea level, and some of it below. The town is referred to in the Doomsday Book of 1086 as Epeurde. Epworth is famous as the birthplace of John and Charles Wesley, the founders of Methodism. The Old Rectory, where John Wesley was born and raised, is a fine Queen Anne style building, rebuilt after the famous fire of 1709, has been completely restored and is now the property of the World Methodist Council. It is open to visitors every weekday 10.00 a.m. to 12 noon and 2.00 p.m. to 4.00 p.m. from March to October, and other times by arrangement. The Wesley Memorial Church, situated in the High Street, is a very fine building and was erected in 1889, at a cost of £6500. 1738 – Aldersgate experience: "I felt my heart strangely warmed." Take the Epworth, Wesley Trail – and discover how this pretty North Lincolnshire town became the birthplace of the Methodist Church. A selection of events at epworth Old Rectory and Wesley Memorial Methodist Church celebrated the Wesley tercentenary. Charles Wesley (1707-1788) – Was an Anglican priest and the co-founder of the Methodist movement. He is regarded throughout the world as one of the greatest hymn-writers of all time and he composed over 5000 hymns – many of which are still popular today. Charles Wesley was born in the Lincolnshire town of Epworth, as was his older brother John Wesley. Their father, Samuel Wesley, was the town rector. Celebrations to honour Charles Wesley’ began on May 23rd with ‘A tribute to Charles Wesley’ at the Plowright Theatre, Scunthorpe, featuring carnival band, ‘Chapels and Taverns’. A Wesley Street Market was held on the 28th May based in the Old Rectory, Epworth and on the streets of Epworth. 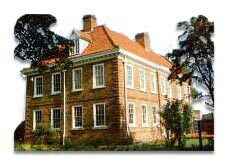 The Old Rectory hosted musical performances and reduced priced tours. 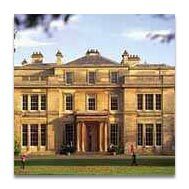 Visitors were invited to bring food and to picnic in the grounds of the Old Rectory. Epworth Old Rectory then opened its doors to the public on May 30th for the ‘Charles Wesley Summer Birthday Party’. Visitors were invited to a Fair Trade Tea Party which was situated in the grounds of the Old Rectory and period costumes were on show. On the same evening at the Wesley Memorial Church there was a performance by the African Children’s Choir – an event which left spectators in awe. Its sort of orlistat xenical sale nausea and general pain..